Five years creating atmospheric first person worlds. 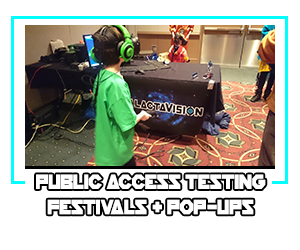 Five years bringing VR experiences to the public. We bring Virtual Reality to public places. 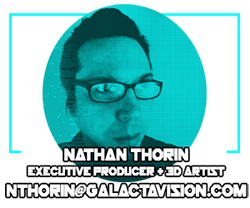 Nathan Thorin founded GalactaVision in 2013 as a gaming company focused on Virtual Reality. 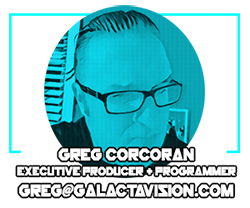 In the last 5 years, with Greg Corcoran, Matthew Ciarlante, and others, GalactaVision has published 3 VR titles, across platforms. We have prototyped and tested many VR experiences, locomotion, play mechanics, and 3d UI, and created unique VR experiences for clients. GalactaVision has focused on quick usability and movement over infinite space in Virtual Reality since 2013. Our mission is to be on the front lines of making VR ubiquitous. We have exposed tens of thousands of people to VR for the first time. Player feedback has greatly influenced our design decisions. We are HQd in Madison, WI and surrounding area.